Jason High is an Executive Vice President and a Principal in the CBRE | Raleigh office. He joined CBRE in 2004 after beginning his career in Washington DC with Studley. 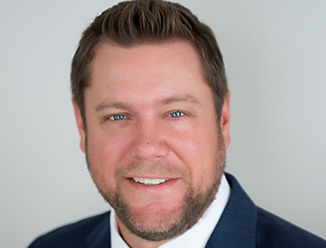 For his entire career, Jason has focused solely on tenant representation and specializes in executing complex transactions on behalf of local companies as well as large corporate clients such as Lenovo, Motorola Mobility and HCL. Using his financial background and expertise, Jason has executed hundreds of transactions on behalf of clients throughout his career including build-to-suits, sale-leasebacks, dispositions and multi-market account work (Americas, LATAM, EMEA & APAC). Some of his most notable transactions include the representation of Lenovo as they leased 501,000 SF in a BTS for its US HQ in Perimeter Park in Morrisville, NC in 2005 and a 445,000 SF lease for Lenovo’s Enterprise Business Group in RTP, NC in 2014. These transactions were recognized by the Triangle Business Journal as the largest office lease transaction in their respective years with the first being named the “Deal of the Decade” for 2000-2010. This successful track record led to the representation of Motorola Mobility starting in 2014. Over the past five years, Jason and his partner, John Daly, have been responsible for representing over 33% of the largest 50 deals completed in the entire market. Their next closest competitor represented only 9%. Jason is dedicated to delivering superior and creative results to office occupiers in both domestic and global markets.